Sessions are where you can frankly engage with industry heavyweights, over the state of South African filmmaking. 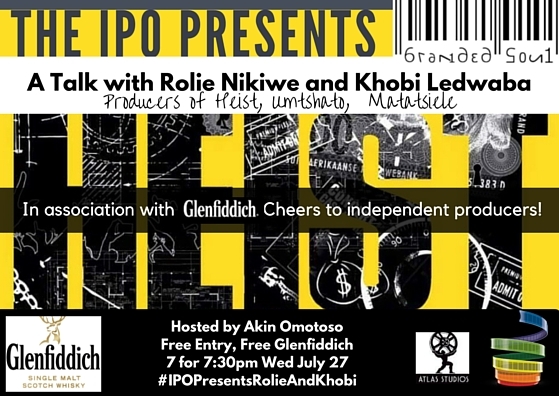 This month, in association with Glenfiddich, we are hosting an impressive producer-duo: Rolie Nikiwe and Khobi Ledwaba of Branded Soul Productions are behind hit TV shows such as Heist, Umtshato and e.tv Matatiele. Join us for a free night out! Plenty wisdom, laughs, drinks, popcorn and zero censorship!